DUBAI, UAE, 4 February 2016: Emirates has come out on top again as the world’s most valuable airline brand, according to the 2016 Brand Finance Global 500 report, which was released yesterday. The airline’s brand value grew 17% over last year to reach US$ 7.7 billion. For the fifth year running, the airline has steadily risen up in the global ranking of the world’s top brands to be placed at #171, 47 places above the next closest airline brand. 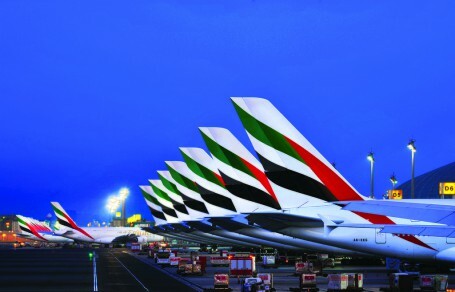 Emirates also retains its well-established position as the most valuable brand in the Middle East. In addition, Emirates’ brand value has more than doubled since 2009, when it first appeared on the Brand Finance Global 500 report. Emirates’ solid brand positioning is grounded in its commitment to delivering best-in-class products and services both in the air and on the ground, and staying attuned to its customers’ needs. 2015 was another year of growth and innovation for the airline, as Emirates marked 30 years of operations. During the year, Emirates launched six new points, expanding its network to 150 destinations. Emirates also received 26 aircraft, retaining its position as the world’s largest operator of the Boeing 777 and the ever-popular Airbus A380. The airline currently serves 37 cities around the world with the iconic double-decker A380, which features its trademark Onboard Lounge and Shower Spa and industry-leading First Class private suite. Continuing to invest in technology, the airline also rolled out initiatives to streamline the customer experience including enhancements to its mobile sites and Apps to simplify the customer journey. Emirates also rolled out its newest version of the in-flight entertainment system, ice, on its newly delivered Boeing 777 and Airbus A380 aircraft, featuring the largest in-seat screens in the industry for First and Economy Class. The Emirates ice system has won the best In-Flight Entertainment Skytrax award for 11 for consecutive years. On the marketing front, Emirates unveiled its highly-anticipated TV commercial featuring celebrated Hollywood actress, director and producer Jennifer Aniston, which quickly went viral. Emirates also amplified its fans’ love of football through its Benfica ‘safety video’, and tested the limits of aviation with its A380 and Jetman Dubai formation flight, with both initiatives setting social media communities around the world buzzing. Emirates also continued to build its brand on social media and currently has one of the most active and engaged social communities, with a combined following of 11 million across Facebook, Twitter, Instagram, LinkedIn, and Google+. Emirates recently hit a milestone for Instagram, being the first airline to have 1 million followers and becoming the largest transportation brand on the popular social media platform. It was also the first airline to hit 500,000 followers on the professional network, LinkedIn.